Funk – a state of depression, a bad mood, a low or the dumps. Ever find yourself fighting the funk? How long does it take you to get out of it? How do you get out of it? Yeah, well, I just came out of one and the surprising progression went a little somethin’ like this. On a recent Thursday morning, the sky was gray and misty, and it seemed like showers would soon follow. Regardless of the gloomy weather, I decided to take my determined self out for a jog around one of San Diego’s popular golf courses. I was excited to work on building my endurance for whatever upcoming half marathon I decide to run this year. (That’s one of my 2017 goals.) I made it around the 3.6 mile jogging course just in time for the rain to begin falling on my head. I got a little damp but didn’t think anything of it, until later in the evening when my muscles began tightening up and my back began aching. Am I coming down with something? I wondered. Within hours, I found myself laid out on my living room couch feeling like I got hit by a Mac truck. For the next few days, I was down for the count with major flu symptoms. During this time, I neglected my bible study, quiet bath time and even writing in my gratitude journal. My energy was zapped! I definitely couldn’t exercise and my attempts at meditation quickly turned into snoring. My self-care routine as I knew it went straight out the window. My appetite dwindled and my desire for anything beyond lemon-ginger tea and Vitamin C was non-existent. Thank goodness my children’s father was visiting for winter break and was able to pick up my slack. I could barely even be a mother to my potty-training two-year old, bouncing seven-year old and busy teenager. 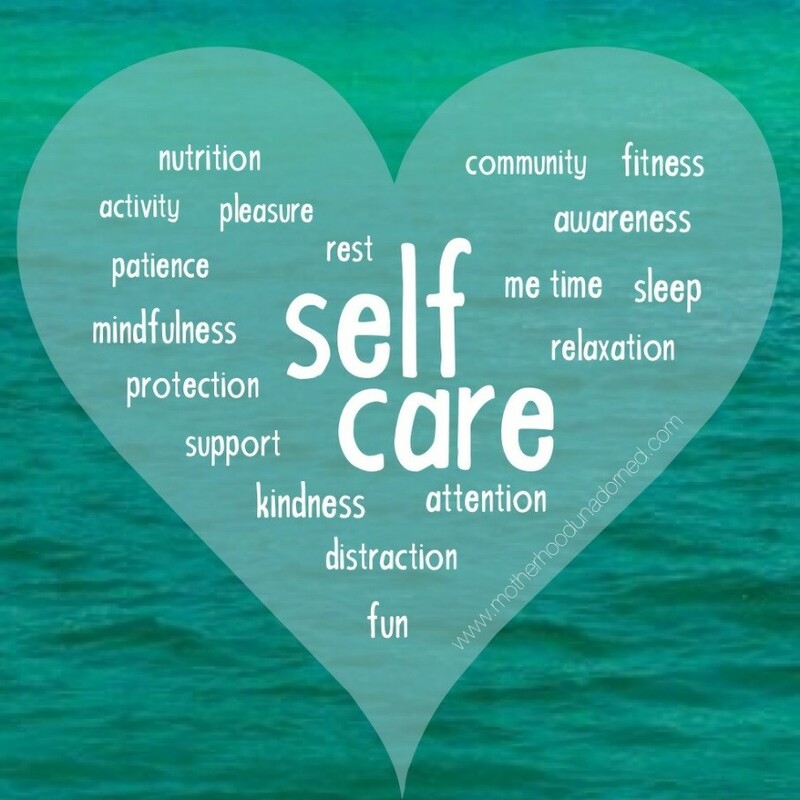 Even though I was weakened due to the sickness, my need for self-care didn’t change. And because that need went neglected, not by choice, the struggle turned into a nasty domino effect. Once my restful weekend was over, it was time to get back on the grind. I didn’t feel 100% but I took myself into work anyway, and on the way there, I broke down. I found myself fatigued – mentally, spiritually and physically. I was vulnerable and the negative energy found a small opening to launch its attack. After battling what felt like flu symptoms for the past few days, I was now in a mental battle. A battle to keep my positivity, my determination, my dreams and my belief… in me! What was happening here? Just a week ago I was pumped about all of my new goals, and today, I was questioning all of them. The sickness in my body had crept in my mind and the crazier part was that although I recognized what was happening, I found myself wallowing in my funk and settling as the victim. The battle was real. I mean, I was even questioning my purpose that I’ve spent most of my adult life pinpointing, and within a blink of an eye, I was ready to toss it out of the window. Operation Funk was winning the battle, but Operation Self-Care would come in to win the war. The first thing I did to climb out of my funk was recognized that I was being attacked. When we can call our monsters out for what they are then they lose power over us. For an addict, the first step is admitting. For a woman battling the funk, the first step is recognition. Send an SOS to your tribe. Secondly, I sent out an SOS to my tribe, my close friends. Who’s your tribe? Identify them and call on them in your times of desperation. Your tribe may life you up with encouraging words, scriptures or even pray with you! You need your tribe to help draw you out of the darkness and into the light. Your tribe can help you, help yourself. Next, I sat and processed my feelings. I felt my emotions and didn’t try to avoid them or push them away. It’s much better to look your emotions in the face, otherwise they sit and fester. Have you ever seen food fester? Yuck. Process those feelings with journaling, talking with a friend or even meditation and allow them to flow through you. Then, I found inspiration. Once you can navigate through (not around) the funk, you can get into the clearing. The clearing is where you can resume positive thinking because the negative thinking has been cleared out. This is the time to revisit those New Year goals, add a few lines to that blog article that you’ve been working on, or take a 10 minute walk outside and absorb some Vitamin D – that’s some good stuff. Lastly, take a moment to reflect on your funk. What do you think triggered it? How long before you recognized that it was an attack? What self-care tools will you use to climb out of your next funk? NOW, is a good time to put together your self-care plan of attack. Jot some ideas down in the notes in your phone. You are on the upside and positive energy is on your side. The last thing we want is to fall under an attack and not have the tools to fight back. Grant it, I didn’t want to fight back initially, but knowing that I had the go-to weapon of my good friends helped to keep me from sinking too far on the dark side. That first step of caring for myself led me out of the funk. Life gets tough between our mommy duties, entrepreneurial efforts, jobs, families, church, etc. and we are bound to fall under attack or in a funk, sometimes when we least expect it. Your self-care plan will be your saving grace, even when you’re too weak to save yourself.